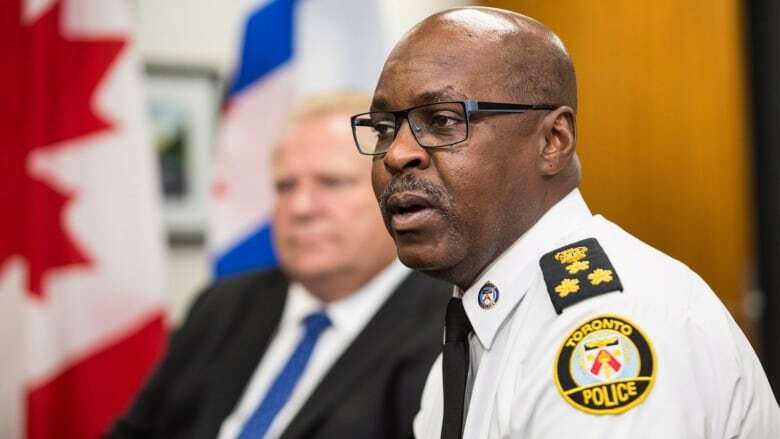 Toronto police Chief Mark Saunders on Wednesday downplayed concerns from the premier that police are unprepared to deal with cannabis-impaired drivers. In an interview with Metro Morning, Saunders pointed out that Toronto police have been enforcing revised drug-impaired driving laws for nearly five years. "We've been doing it adequately," he added. Further, the force has increased the number of officers qualified as Drug Recognition Experts (DREs). These officers are trained in a battery of roadside tests designed to reveal alcohol or drug impairment. Saunders said he would like to see even more officers undergo the training. "I do feel confident, but I will say that we need more. There are a lot of unknown unknowns right now," he said. Yesterday, in a letter to the prime minister, Premier Doug Ford said that legalization was "rushed" and left police services without time to adequately prepare. "Our law enforcement officials remain without the necessary tools and support they need from your government to reliably test for drug-impaired driving," Ford wrote, alluding to a controversial roadside drug-screening device that received federal approval in August. Some police forces in Canada have opted to introduce the machines, while others have said they will rely on more traditional methods of detecting an impaired driver. For its part, the Ontario Provincial Police force confirmed it will be using the equipment, though a spokesperson could not say how many individual devices the force will have or when they will be brought into use. Saunders said the daylight between himself and the premier is likely due to the fact that Ford has "different meetings" in a "different landscape" than he does. As of today, recreational cannabis is legal in Canada. Legislation that accompanied the Cannabis Act gives police broader powers to pull over and test drivers suspected of driving while under the influence of cannabis. Currently, residents of Ontario can only buy legal cannabis online directly from the province. Private brick and mortar retailers are set to open their doors next April. That has put existing, illicit cannabis dispensaries in a difficult position. While Toronto police started raiding locations earlier this year, dozens of establishments are still open throughout Toronto. In the lead up to legalization, Ontario Attorney General Caroline Mulroney revealed that any dispensaries still open as of today will be stripped of any opportunity to participate in the legal trade. Saunders confirmed that Toronto police will move to shut down any dispensaries that remain. "They'll be unlawful. As law enforcement, we will be taking them down. We have to, there is no choice on that," Saunders said. Raids, however, are resource-intensive operations. Saunders said he hopes that both the province and federal government will offer his force additional tools to help it close down remaining dispensaries in the city. Meanwhile, federal ministers announced Wednesday morning that Ottawa is initiating a process by which Canadians convicted of simple cannabis possession can seek a pardon. "We recognize the impact that some of those records for simple possession of cannabis have had on Canadians who otherwise lead exemplary lives, and we want to make sure that pardons are accessible and affordable to those individuals," said Bill Blair, minister of organized crime reduction and border security. Blair, former chief of police in Toronto and Ottawa's point man on cannabis legalization, admitted that after years of hinting at pardons for simple possession convictions, "now is the appropriate time. "The impact of those records has been disproportionate to the offence," he added. When asked if he supports the pardon program, Saunders said that he doesn't have the "luxury" of expressing a personal opinion on the matter.